At the top of a hill in Clinton with meadows and mountains as a backyard, artist Anne Freels‘ life is one many would covet. She’s supported herself for the last 15 years by doing what she loves – crafting hand-made corn shuck dolls and natural body products. Anne had her “15 seconds of my 15 minutes of fame” as the baby on The Oak Ridger cover for New Year’s Day, 1958. 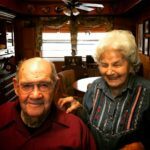 She’s lived in or near Oak Ridge all her life. 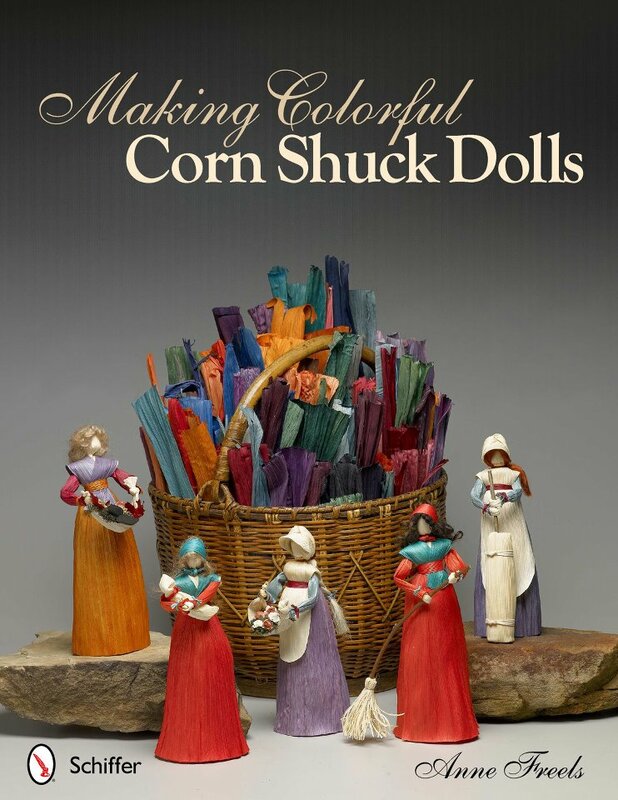 Anne Freels’ book Making Colorful Corn Shuck Dolls is available at Amazon.com. The average height of Anne’s creations is about 9 inches. She uses natural dried corn shucks, dies them by hand, and deftly cuts and shapes them into free-standing forms that just beg to be finished as personalities. Anne Freels holding her corn shuck angel. Photo by Barbara S. F. Davis. Anne’s trademark Wingshuck Angel is resplendent in turquoise and harmonious hues, adorned with broad feathered wings, juniper and moss. “She’s the guardian angel of all my creative pursuits. She makes a lovely mantle piece or tree topper, as well as a year-long visual blessing in any room. 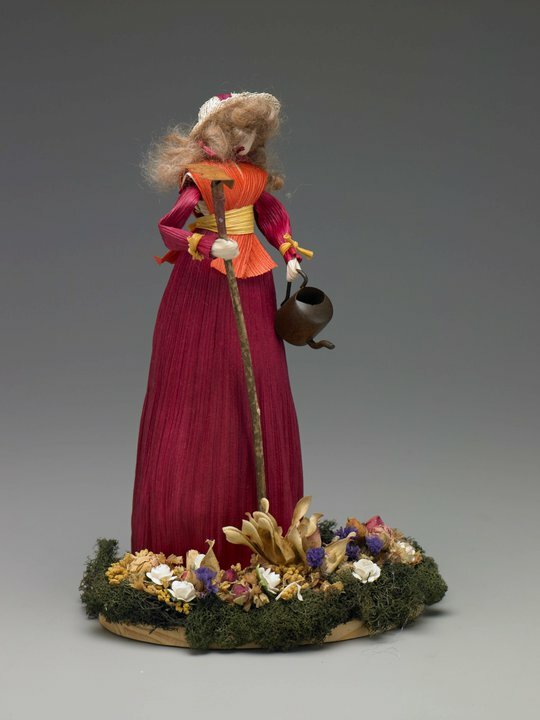 Anne’s dolls represent her interpretations of the natural rhythms of the earth, including the changing of the seasons, and other imaginative figures depicting folklore, legend and myth. Do the dolls represent individuals or archetypes? 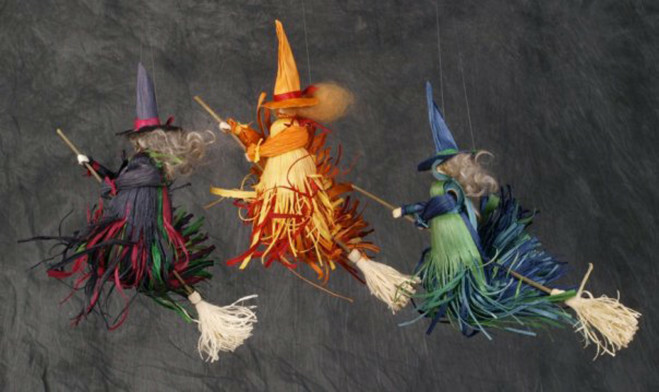 “I make saints and sinners, angels, witches, preachers, priestesses and goddesses, right along side the more traditional heritage-style dolls like women with quilting, knitting, weaving, butter churns, flowers, babies or brooms. My newest doll is made with the intention of Prosperity. 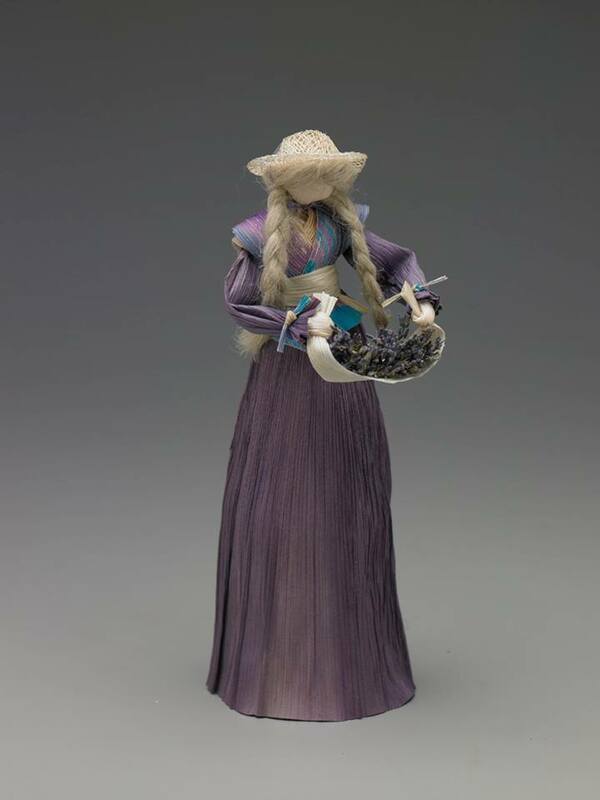 She represents abundance and can be placed in the ‘prosperity’ corner of your room, to bring more of this into your life. 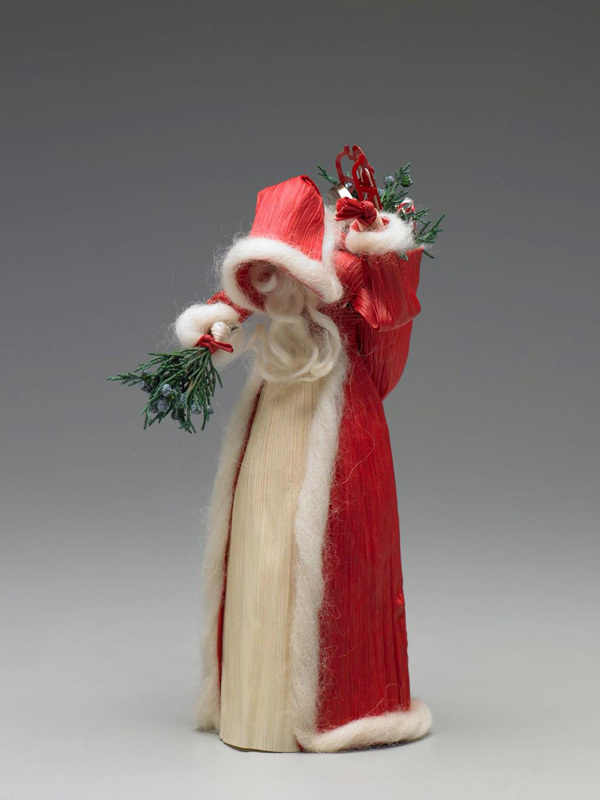 “Frida Kahlo, St. Francis, St. Therese and a Victorian Father Christmas are on display with Woodswoman and Shaman, divine archetypes of the female and male spirit journey dolls of Appalachian culture. “She taught him everything he knows!” Anne grinned. Do you make all the dolls by yourself? Will these dolls be on display at your December 7 Open House? Where can people find the hours of the Open House and directions? 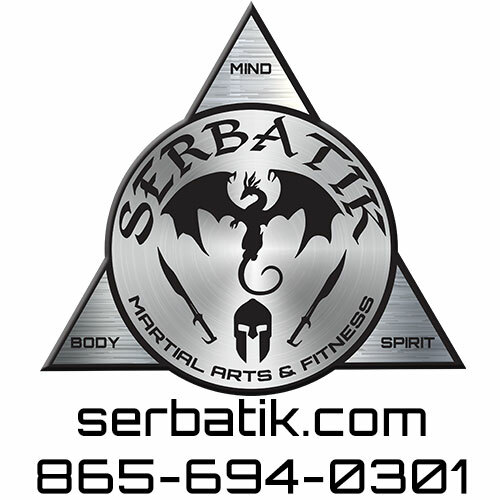 “My Facebook page, Anne Freels and Wingshuck (or just Wingshuck) gives all the details. “There will be finger food and a wood-burning stove to keep visitors warm from Noon – 5:00 PM on Saturday, December 7.” Those who are unable to attend the Open House may purchase directly from Anne on Facebook. Cor Shuck dolls and Annie’s Egypt Herbal soaps. “The soaps and creams I make are a separate enterprise, Annie Egypt Herbals. In common with the dolls, they are made from natural raw materials which have alchemical properties,” says Freels. Where do you make the soaps and what are the ingredients? 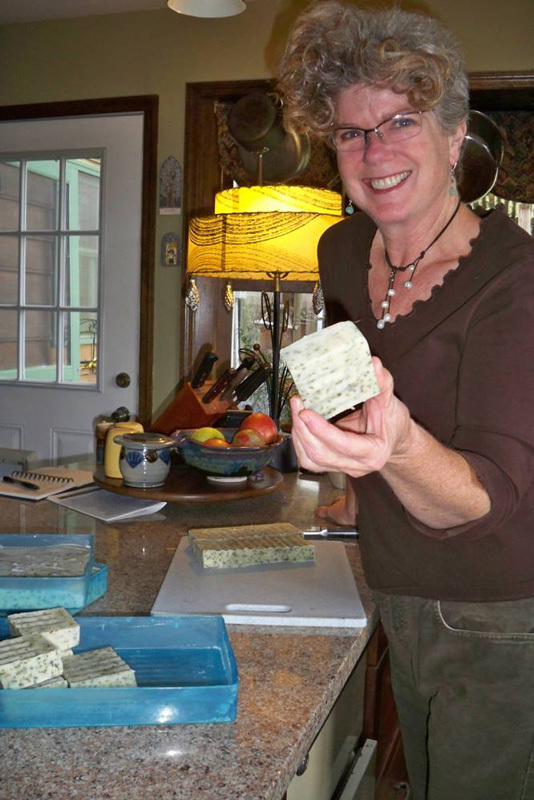 Anne Freel’s freshly made batch of soap. Photo by Barbara S. F. Davis. What makes Annie Egypt Herbals soap better than Dial or Dove, or whatever drugstore soap we can buy? “There are no synthetics. The herbs act as an exfoliant, the vegetable oils are moisturizing, and the essential oils give heavenly scents that fill the room. Since the skin is the largest organ of the body, it makes sense to apply natural ingredients. Can I buy the soaps on-line? What ingredients go into your face and body creams? “Aloe vera gel, fresh vegetable oils, beeswax, cocoa butter, distilled water, vitamin E oil (which acts as a preservative, since I don’t use chemicals), and essential oils. 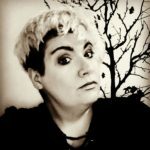 “I also make body oils, anointing oils, herbal bath bags, eye pillows stuffed with lavender and flax seed, spritzers, face scrub and healing salve. Preserving youth and becoming more beautiful are utter obsessions in our culture. 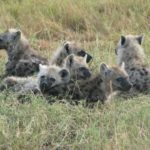 Your soaps and creams seem like a combination of good sense and good ecology. ” I like to say that Annie Egypt Herbals products won’t make you beautiful, they will keep you beautiful,” smiled Anne. 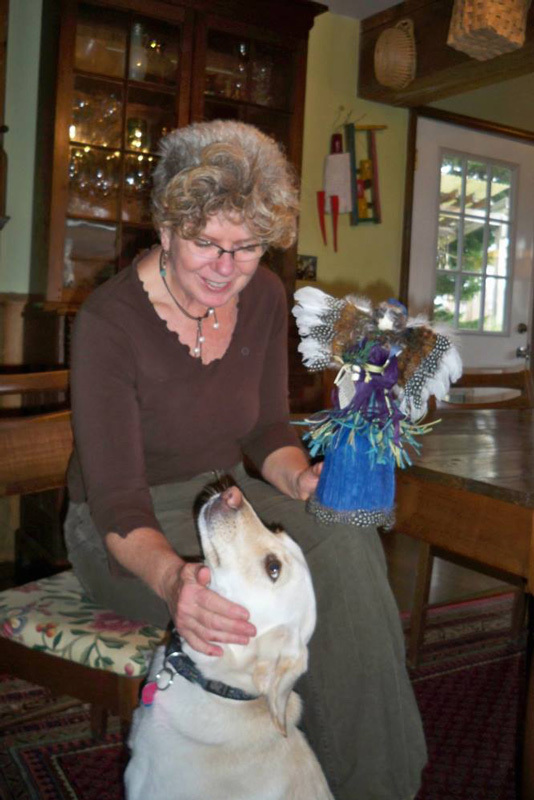 December 7 from Noon – 5:00 pm Anne Freels’ Annual Open House is open to the public and the reader is invited. 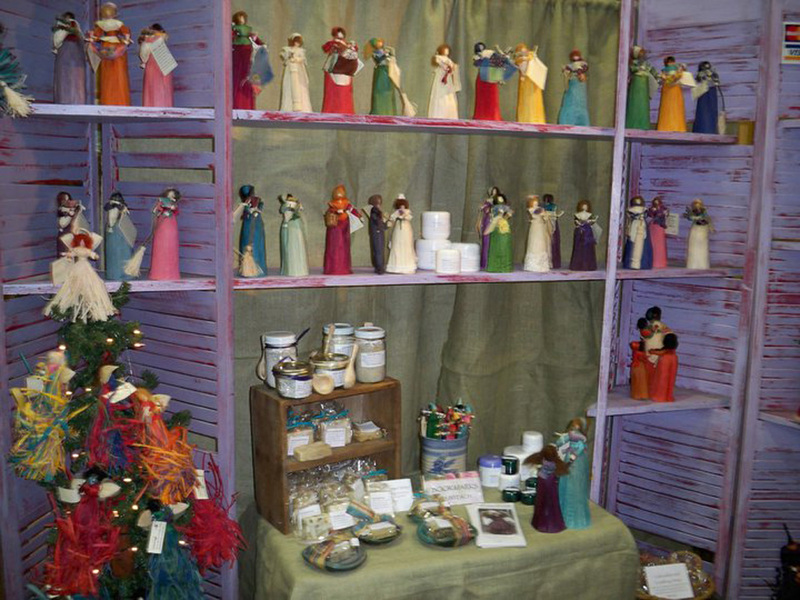 See Anne Freels’ corn shuck dolls in a small display window in downtown Knoxville, between the East Tennessee Design Center (ETDC) and The Market. This location is directly across from the intersection of Gay Street and Union Avenue. Dolls depicted in this article may no longer be for sale.